I think this is by far the coolest LifeCHARGE power bank I have reviewed and it is truly the first power bank that I really want it to be. After spending some time with this test unit, I have summed up a series of likes, dislikes, and ultimately who this power bank is for. I always like to start off with the technical specifications. 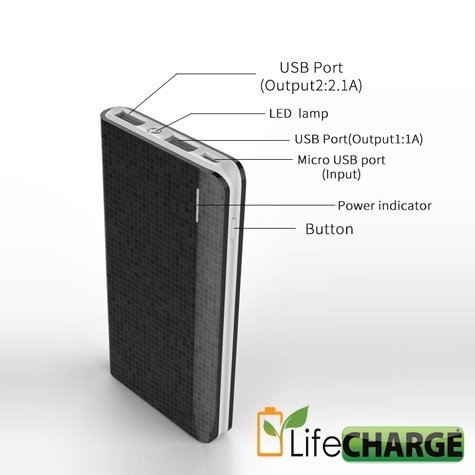 This provides an overview of everything you need to know about this power bank at a glance. This power bank is just a tad smaller than the surface of my Samsung Galaxy S4 smartphone. 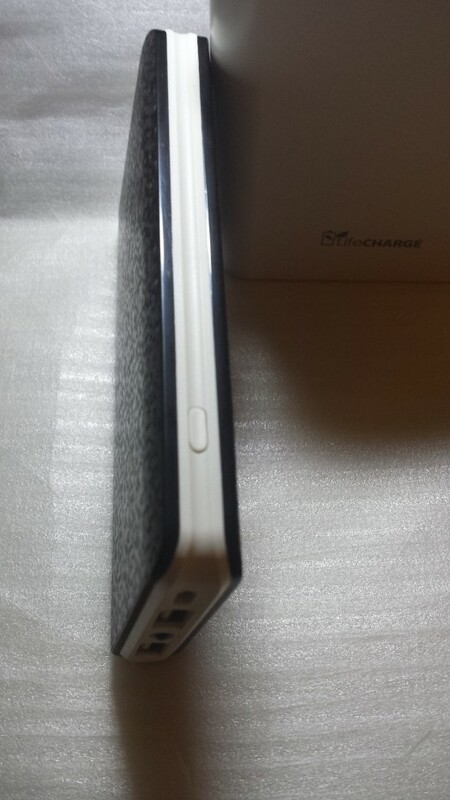 My Galaxy S4 features a 5-inch screen so you can place this power bank at somewhere just under 5 inches. 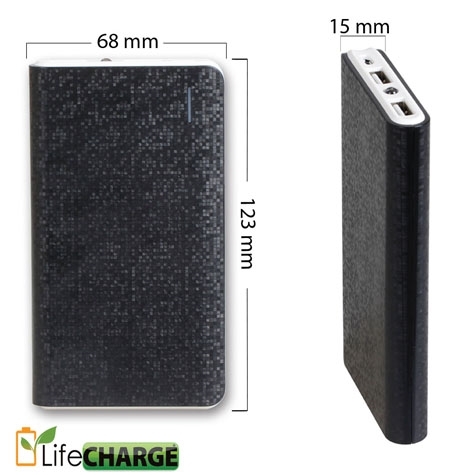 The lithium-polymer battery allows for a slim design as well making it very easily pocketable. However, I don't find this too practical to carry a power bank in your pocket all day. When I received my test unit, it came with a netted carrying pouch which I quite liked. This allows me to store a cord with the power bank. Rather than grabbing the power bank and finding a micro-USB cable before I head out, I just grab the pouch knowing everything is inside already. The first thing I noticed when I got my hands on this power bank was the design. 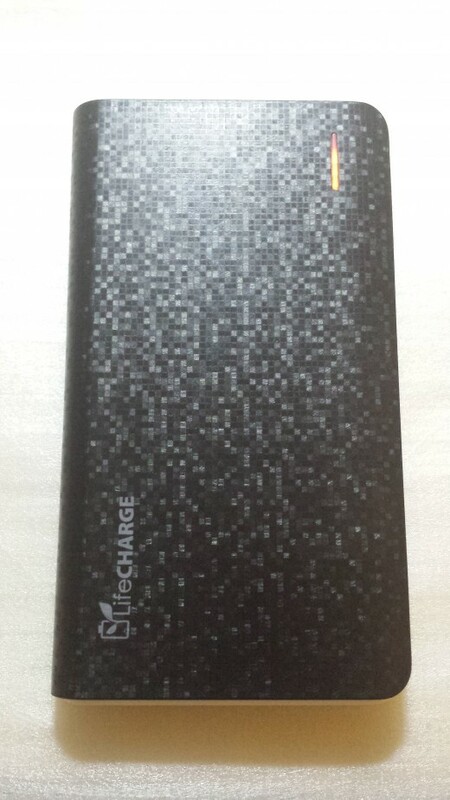 The material seems plastic, but LifeCHARGE prefers the term "Surface Mosaic". Giving them the benefit of the doubt, I still think this is a marketing term. Instead, I'd like to use the term "Nexus" because this grid pattern remind me of that Nexus wallpaper. I have reviewed many power banks and have some yet to review from various companies. Just about every one of these power banks do not feature any type of pattern. It's just a slab of smooth finished plastic. 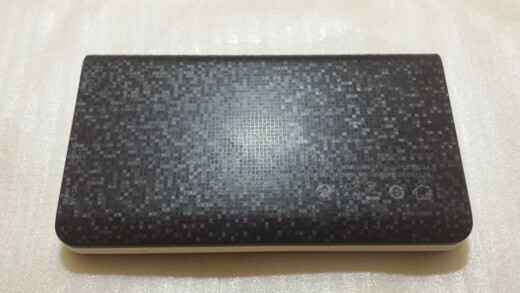 Those felt very simple and boring while this power bank has a very nice and interesting texture to it. In addition, I especially like this power bank because of its minimalist look and feel. It features a nicely placed LifeCHARGE logo along with a non-intruding LED battery level indicator. This photo of the front view has a much better view of the texture. This power bank also shows the powered on LED battery level indicator. This is something I dislike. I do not like how the LED lights bleed over. 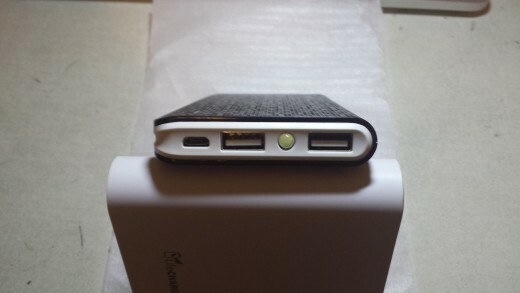 What I mean by this is supposedly the power bank is 50% full, this would mean that two LED lights should be on. It doesn't look like there is any kind of separator and so it may look like that three LED lights are on. This bleed over may be difficult for some people to discern the true battery level. If you visit the website, the description actually will report that the LED indicators are blue. In my picture of the pre-released power bank, the LED indicator is orange. Just to give you a heads up so you aren't alarmed when you receive a power bank with a different LED battery level indicator. This power bank is currently available for pre-order, but will be shipping soon. The back view provides a bit more information. I would like to emphasize on the labels. Over in the lower right corner, this power bank provides details of the capacity, current, and voltage output specifications. Over on the left side, there are three sets of labels for the input via micro-USB, Output 1, and Output 2. These labels also provide the current output as well. By the rule of thumb, you should always use Output 2 if you have one device. This is because Output 2 will recharge your device twice as fast as Output 1. Recall that Output 2 features a 2A output while Output 1 features a 1A output. The power button placement is a hit or a miss depending on how you like the placement. It's placed over on the side inside of the ridge which can make it difficult to get to. When I try to press the button with my thumb lined lengthwise with the ridge, I was unable to turn on the power bank. This can prove a challenge if you have pudgy hands (not judging) so you'll have to use your nail or the tip of your thumb. The plus side of having the power button inside the ridge is that it won't accidentally turn it on. Having reviewed so several power banks already, I keep this one on my at all times because of its size and the unlikeliness of it to turn on accidentally. It is highly unlikely that the the power button will bump up against something as it gets tossed around in my bag. This is a major plus I see. Furthermore, this power bank comes with a very nice mesh pouch so it will hold your cable together. Like all LifeCHARGE power banks, there is always a built-in LED flashlight. Although I did not find it particularly useful, it is definitely a nice to have. Who knows when there will be a power outage and I need a light source? With the amount of power banks I have so far, I haven't made any investments into flashlights or anything of the sort. Although the ports are very close together, there is next to no way to get confused with the input and output. If your phone uses a micro-USB or lightning port, you know which side of the cord to plug into which socket. Therefore, I see no reason why it should matter that both the ports this closely together. 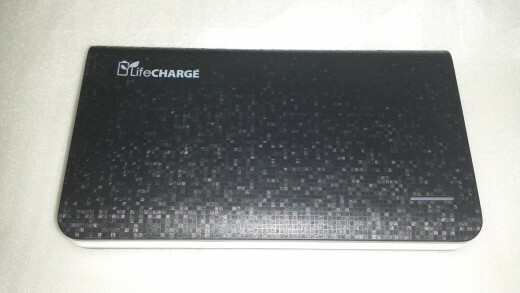 This test showed how the power bank handle the three states of charging. In case you're wondering, it's the critical charge when it dips below 10%, the normal charge from 10% to 90%, and the trickle charge. Progressively, it makes sense for the charging time to take longer over the series of 25% intervals. I was very surprised to see the power bank take significantly longer to charge past the 25% mark. The charger I used was the Anker 40-Watt 5-Port USB Desktop charger. It features PowerIQ technology to deliver the fastest charge possible based on the maximum current possible. If you would like to minimize your charging time, I highly recommend you invest in an Anker charger that is capable of adjusting its charge based on your device specifications. I know some smartphone chargers are not capable of delivering above a 1A output and this would mean your charging time could potentially double. I highly recommend investing a 5-Port charger because it's the best bang for your buck. With a power bank and a smartphone, two of those ports will be occupied. 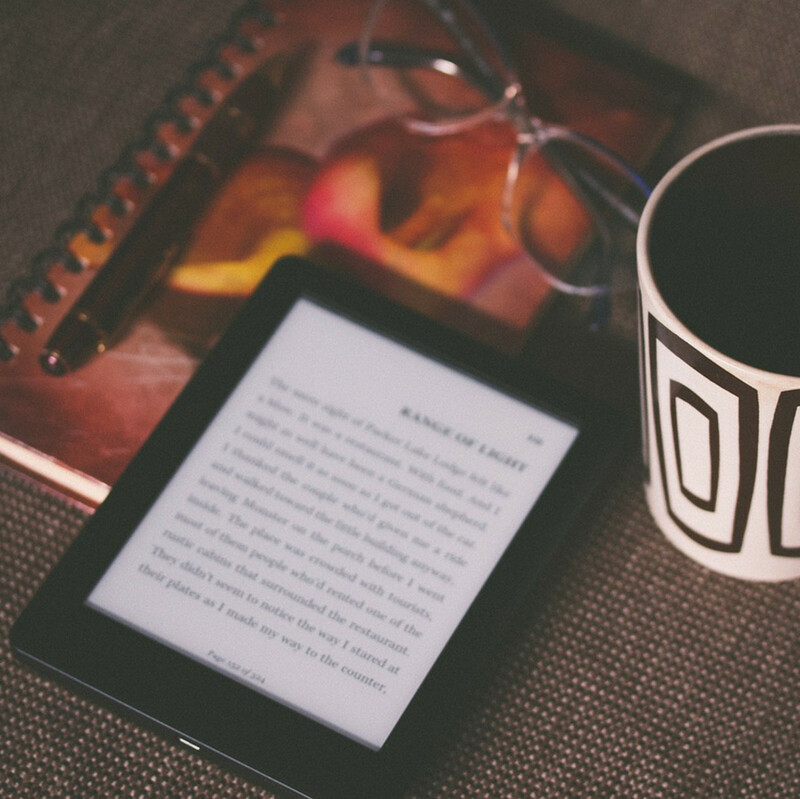 If you own any other devices such as tablets, that would take up more ports so it is always a good idea to have more ports than necessary for that no compromise solution. This is definitely a power bank I suggest you consider. I think this is by far one of the better LifeCHARGE products. From the material use, pattern on the body, size, and function, it serves many people well. 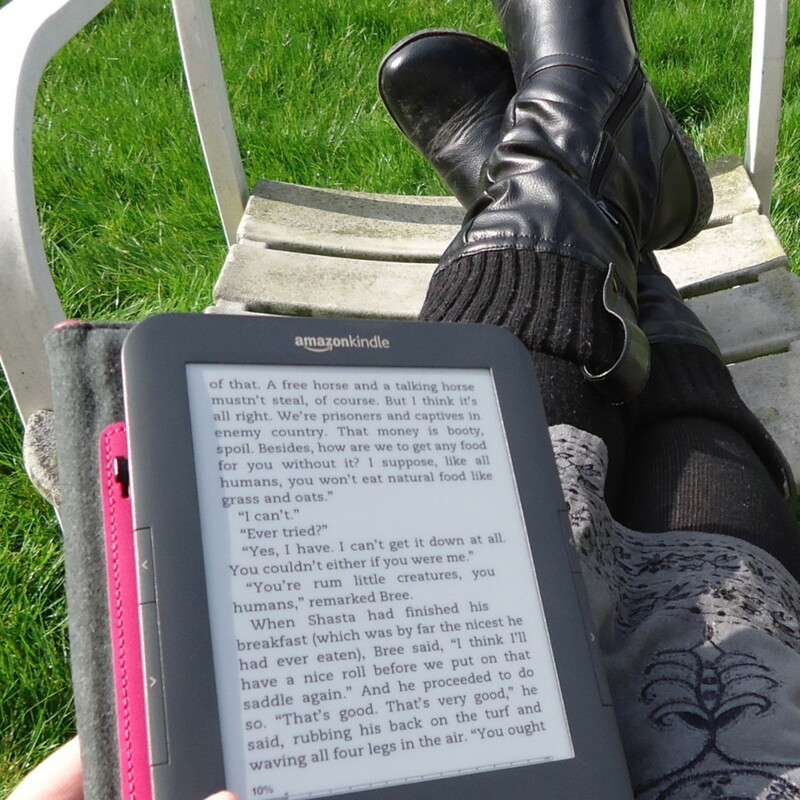 The slim and low profile design is an excellent travel companion. The lithium-polymer battery allows for a slower discharge. My only dislike at the moment is the battery level indicator bleeds through beyond its own section which sometimes make checking the battery level difficult. At a competitive price of $34.99, it's a good investment to charge your device around two times over per charge.